Are you considering a small home improvement project in the near future? If so, you will want to take advantage of our entry door and small project installation service. At Abode Building Center, we strive to create the best customer service experience for our clients. 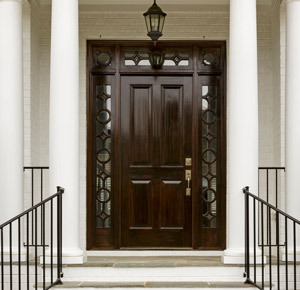 Replacing your old entry door can be great for adding instant curb appeal to your home. Add some personality to the exterior of your home with a bright and welcoming door. We also offer more classical styles to fit your design preferences. When you work with Abode Building Center, not only can we help you pick out the perfect style entry door for your home, but we also install it. That way, you can enjoy your new entry door as soon as possible. At Abode Building Center, we are a specialty home center. For this reason, you can trust us to pay attention to the little details that make your house a home. For any small project, you can depend on our home installation services. Within the Kalamazoo and greater West Michigan area, we are known for our excellent work and customer service. If you are interested in installing an entry door or other small project, feel free to call our Portage office at (269) 329-1800. At Abode Building Center, we have been helping West Michigan clients make their dream homes a reality for over 30 years.